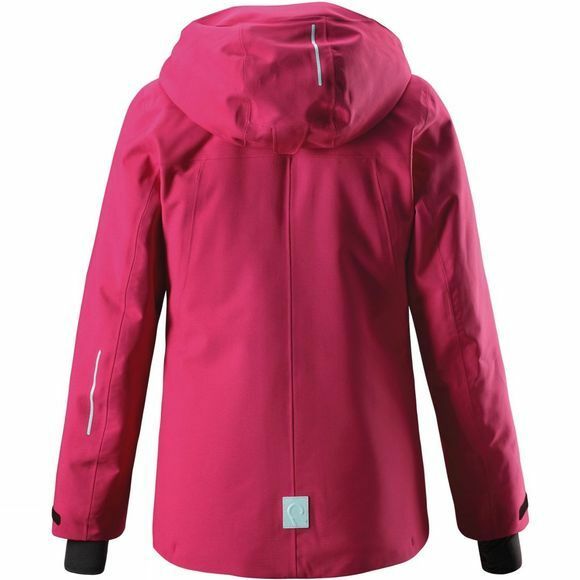 This kids' functional, waterproof Reimatec®+ jacket has plenty of brilliant details for winter outings! 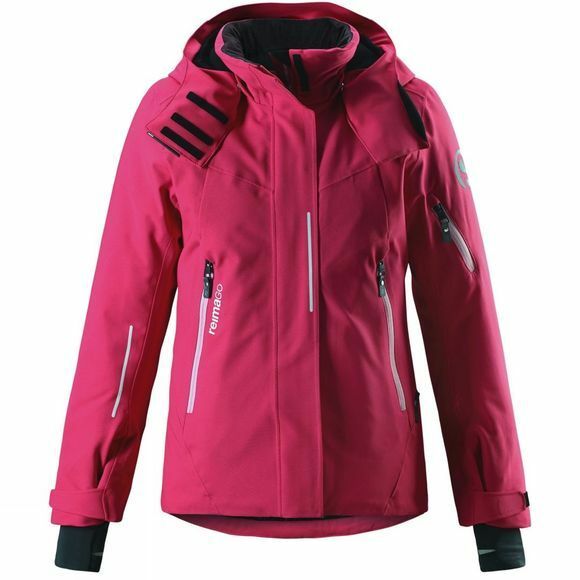 The technical material water- and windproof, breathable and repels water and dirt, too. All the seams have been taped waterproof. The comfy, smooth polyester lining and sterling zip eases the dressing. Thanks to the handy snaps buttons on the snow lock, you can tie the pants to jacket. The snow lock can also be attached to its own pockets for store if not used. The safe, detachable and adjustable hood has storm flap and it comes off easily if caught on somethingprotects. The ski card pocket on the sleeve saves the day when queuing for the lift but also features a special pocket for attaching the innovative ReimaGO® sensor at all times! Handy loops keep the head set cords in order. Adjustable cuffs guarantee a good fit and the inner lycra cuffs keep cold at bay. This functional wonder is equipped with zip pockets, ski card pocket, goggle pocket, inner chest pocket, loops for head set cords and pocket with snaps to ReimaGO® sensor. Easy to care: Tumble-drying is allowed.